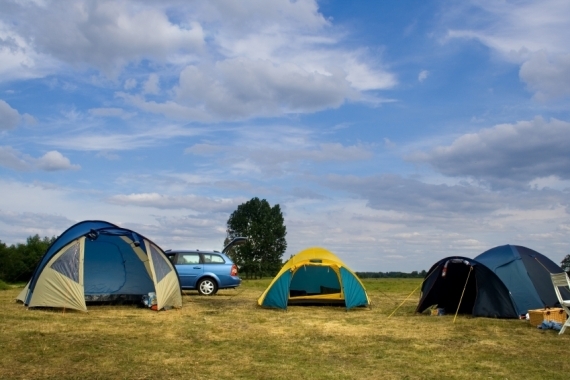 Say what you will about minivans – and quite a lot has been said about them – they are some of the most versatile vehicles found in the American car market. Less than ten models are available now, with many car companies ditching the minivan to make way for a surplus of SUVs and crossovers, but for those manufacturers still in the game, the challenge has been twofold: to capture the hearts of buyers previously unwilling to look uncool among their peers and to provide the most usable cabin space for those who already see a minivan in their future. For 2011, Toyota has dramatically redesigned their Sienna in the hopes of conquering the tough and dwindling minivan market. They smoothed out the front-end to give it a sleek, less boxy look, they added cool tech features like a dual-view rear DVD screen and backup camera and they made the third-row seats easier to access and stow. 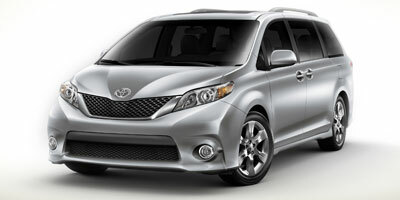 For economy purposes – both fuel and price – the Sienna lineup now has a four-cylinder engine option as well. It’s a good bid, but the true test will be to see how well it does against upcoming redesigns from Nissan and Honda. A four-cylinder option keeps pricing low, and a ‘sporty’ looking SE model adds flair (think modified taillights and upgraded wheels) to the Sienna’s styling. 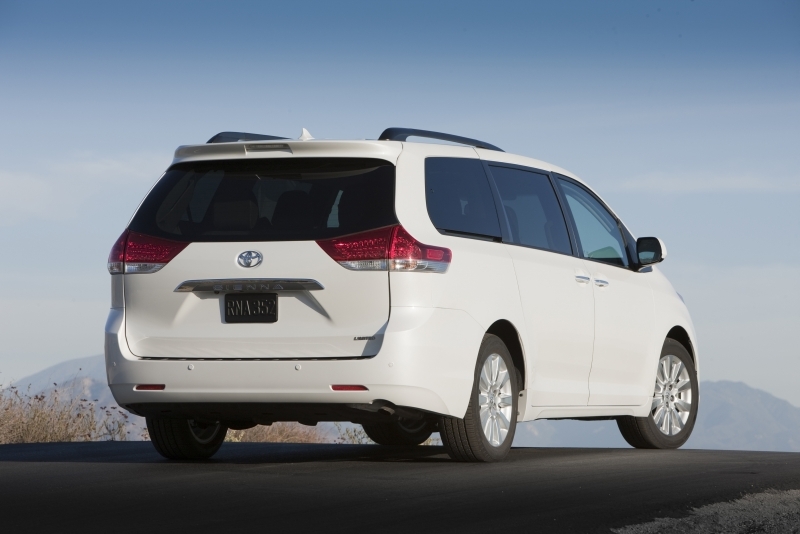 The exterior redesign does a lot to bring the minivan up to date. Entertainment system’s wide-screen and other tech features are of high quality. No matter from which angle you view it, the Sienna is still undeniably box-like – it’s the nature of the minivan aesthetic, after all. This doesn’t help fuel economy much, and you’ll see SUVs with better mileage numbers. Certain interior elements feel cheap, especially in the seating and console areas. 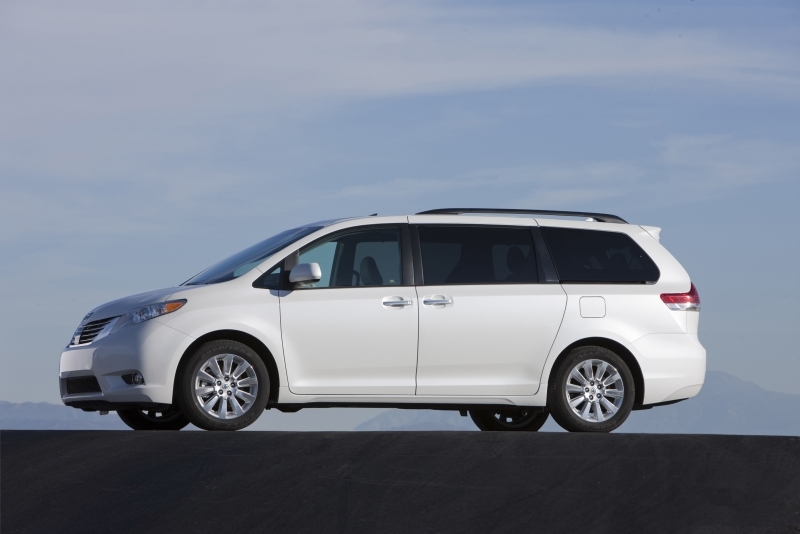 The Sienna drives, well, like a minivan, which isn’t exactly a terrible thing. Sure, it’s not a sports car, nor will it ever be, but it does the job it’s meant to do. Minivans are about comfort for all passengers onboard, and the Sienna delivers a smooth, untroubled ride in any driving situation. The transmission’s shifts are suitably soft so as to avoid any jerky movements and the suspension is so forgiving and gentle that even the princess who can’t sleep on a pea will have no problem drifting off in the Sienna. Two engine choices are available for the first time so, in addition to the six-cylinder, a four-cylinder can be chosen. It’s the less powerful option, and we’d recommend it only to cut total costs. The reclining middle seats with optional leg rests will make you long for the day your kids turn sixteen. For the first time, Toyota has introduced a 2.7-liter four-cylinder into the Sienna that produces 187 horsepower and 186 lb-ft of torque. The SE, XLE and Limited trims are outfitted with a larger 3.5-liter V-6 that increases output to 266 horsepower and 245 lb-ft of torque. All trims have a standard six-speed automatic transmission, and the LE, XLE and Limited come with the option of front-wheel or all-wheel drive. With five trims there’s something for everyone, like Bluetooth connectivity, optional rain-sensing windshield wipers and a tilting/telescoping steering wheel. But a minivan is only as useful as its working parts, which is why Toyota has loaded up the Sienna with reclining seats, easy-to-move seating, a sliding center console, plenty of storage, touch-and-hold buttons to open side and rear doors and stowing rear seats. 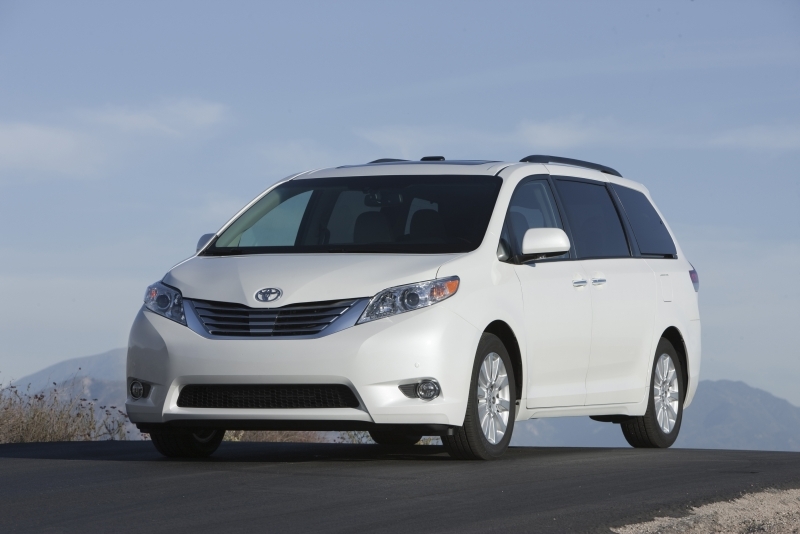 By opting for the high-end models or adding packages, a number tech features can be included in the Sienna. A JBL audio system is a must for the audiophile (or one whose kids are), and the panorama backup camera is something of a marvel that will really help when squeezing the Sienna into tight spots. The wide-screen DVD player can display widescreen movies or split the screen space for two different shows. It’s a sad fact of life that a box will never be extremely aerodynamic, which is why the segment remains stuck at similar fuel economy numbers. The four-cylinder engine returns 19 mpg city and 24 highway, while the V-6 gets 18 mpg city, 24 highway. If you opt for all-wheel drive, expect consumption to drop to 16/22. 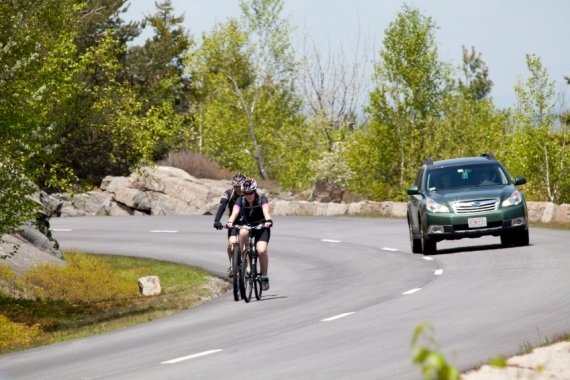 Look to the crossover or wagon segment to see better numbers. 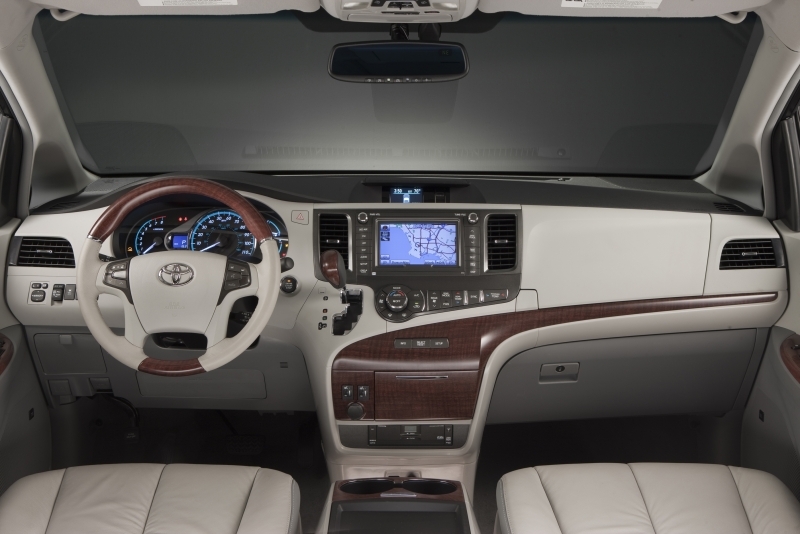 While the features of the Sienna’s interior are numerous, quality falls short. The cloth seats just don’t look very nice, and neither do the leather seating surfaces. Certain materials on the dash and center console area feel like they may not survive family life either. However, stowing seats, a moveable center console and plenty of storage makes the interior fully functional. The exterior is always the Achilles heel of the minivan, with the entire segment suffering because of its ‘uncool’ body style. Toyota has worked hard to make the Sienna look more dynamic than its proportions may indicate by sloping the hood and windshield more dramatically and raising the beltline. Thanks to the low-cost four-cylinder engine, the Sienna has a starting price of $24,460 and maxes out at $39,970 for the AWD Limited trim. All other configurations fall in between, with most hovering around the $28-30K mark. While the minivan segment has dwindled of late, there are some noteworthy competitors, including the $25,900 Volkswagen Routan, $26,010 Chrysler Town & Country and the soon-to-be-released 2011 Honda Odyssey and Nissan Quest. It’s a disappointment to see a 2011 model fall short of interior quality standards and pricing doesn’t help sway buyers from crossovers, however the Sienna largely makes up for that with a fresh exterior look and even more functionality than before (who knew that was possible?). SUVs and crossovers may hold the number one spot for American family haulers, but if Toyota has a say, the minivan segment will chug along for years to come.